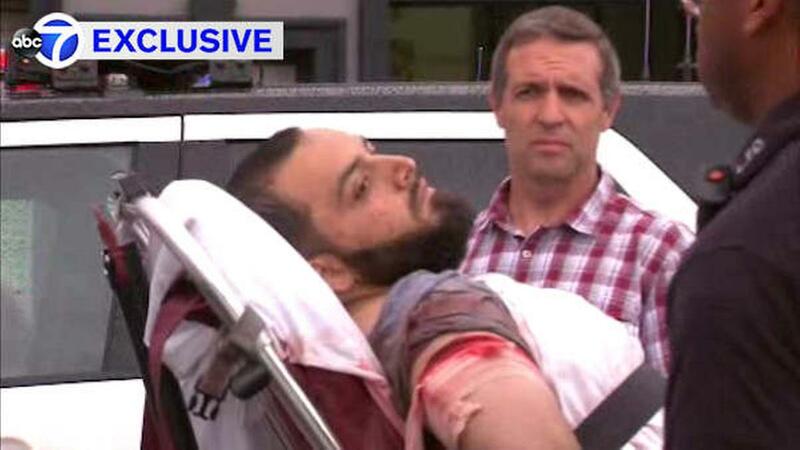 Ahmad Khan Rahami is a suspected Islamic Extremist Terrorist. He is wanted has been arrested in connection with the bombing in New York’s Chelsea neighborhood on Saturday night, September 17, 2016. He is also suspected of involvement in the explosion earlier that day in Seaside Park, New Jersey. According to the FBI’s Most Wanted List, Ahmad Khan Rahami is a United States citizen of Afghan descent born on January 23, 1988, in Afghanistan. With no city of birth supplied, I have used the capital of Afghanistan, Kabul. The chart below is rated X as the birth time is unknown. This means we cannot include interpretation of the Moon and other time-sensitive points like Ascendant and Midheaven. The most obvious feature to stand out in the chart above is Venus square Mars. This brings intense love-hate feelings which can rapidly escalate to anger and temper tantrums. The intensity subsides just as quickly as it builds, once the pressure valve has been released. The lesson with Venus square Mars is to gain more self-control over these volatile passions. Venus square Mars is very strong in his chart at under half a degree orb. But not everyone with this aspect is going to blow people up. Some striking details about his motivations come from looking to the fixed stars. At 09 ♐ 35 the fixed star Antares has a powerful influence on his Mars, his motivating energy. Powerful not only because of the very tight orb but because of the nasty Mars nature of this star. The word Antares actually means Rival of Mars. The horoscope for his transits is based on the exact time and coordinates from the 2016 Manhattan bombing Wikipedia page: September 17, 2016, 8:31:39 p.m. I won’t go into detail analyzing the bombing chart because I am most interested in what allegedly motivated Ahmad Khan Rahami. One thing I would like to mention from the bombing chart is the Vertex Point conjunct fixed star Algorab at 13 ♎ 40. This star of terror was rising with Mercury when the first plane struck the Twin Towers just over 15 years ago. The long-term trigger on his nasty Mars was the September 1 solar eclipse which itself highlighted the other long-term influence of Saturn square Neptune. The effects of Saturn square Neptune on his Mars in particular would have exacerbated the influence of Mars on Antares, “enraged over any limitations” especially limiting structures relating to religion, government and the military. The next trigger was the September 16 lunar eclipse conjunct his North Node. I gave that lunar eclipse the theme or warmonger because it was square Mars. This Mars transit seems to have been the short-term trigger for his actions. Sun square Mars can lead to tests of character from your competitors or enemies. This transit can lead to a buildup of anger, resentment or sexual frustration. Channeling of this aggressive energy is required to reduce the risk of tantrums or violence. The Fixed Star Health and Behavior Imbalance, Ted George and Barbara Parker, 1985, p.105-107. Fixed Stars and Constellations in Astrology, Vivian E. Robson, 1923, p.174-175. A bit late now. This is the first I have heard of it. Me too, only just saw this in my email and thought you might enjoy it, good variety and many names you will know. I agree, many many good astrologers in there. I just noticed that Ahmad Khan Rahami has no retrograde planets, not even the lunar nodes. I wonder if that means a young soul? That is my take on it, a young soul who is going to do lots of silly and stupid things…no retrogrades! Here is an interesting article for you Jean: Retrograde Planets and their Number in the Natal Chart. Hillarys birth time is in question. I have Venus Square Mars and the love hate things is true. I always thought my temper had to do with my mars in Aquarius. If someone tailgates me, I go from calm to rage in 2 seconds flat… and no I don’t blow things or people up 😉 … just don’t tailgate me and we’ll be fine. It always comes down to aspects and fixed stars, not Signs and Houses. Thank you so much Jamie, for such a quick, sharp and clear analysis! I’m just in awe of how much you know and how dedicated you are. I instinctively knew that this was another “lost soul” (no disrespect to this man) and not necessarily again the usual agenda we re all fed.. the idea that if Trump wins, somehow this will end attacks or bombs ( which existed before Obama) just baffles me. All I can do is send me more love and light into this world… More war is not the answer. Unfortunately was will continue on for as long as the money men and arms makers are one in the same. Nice work, Jamie!!! this is why we read everything you say!!!! I love this, so cool to see how you analyze transits, eclipses to natal aspects. I learn a ton! I had a question to ask ? Do you do personal readings on payment basis? If yes , how do I get in touch with you and what’s the proper way to go about it . Not at the moment Zee. Find a relevant aspect or transit and ask a question there. Yes, Jamie, loved how quick you responded to the New York bomber chart! Thanks Jamie. Canada Toronto…hmm we love our sassy New Yorkers ..fearlessness….well …they get on with life. We understand these buggers….ASTROLOGY .”yay” ???? Your country is certainly taking a different approach to refugees from the Middle East.